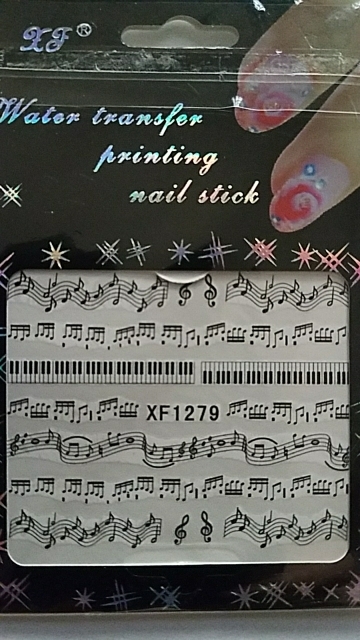 A set of music notes and music scores nail stickers, they are safe and non-toxic, very easy to apply and remove. 1) Trim, clean and polish fingernails, paint background colour on the fingernails and wiat to dry. 2) Remove film from the sticker, cut out the pattern and put into water for 10-20 seconds. 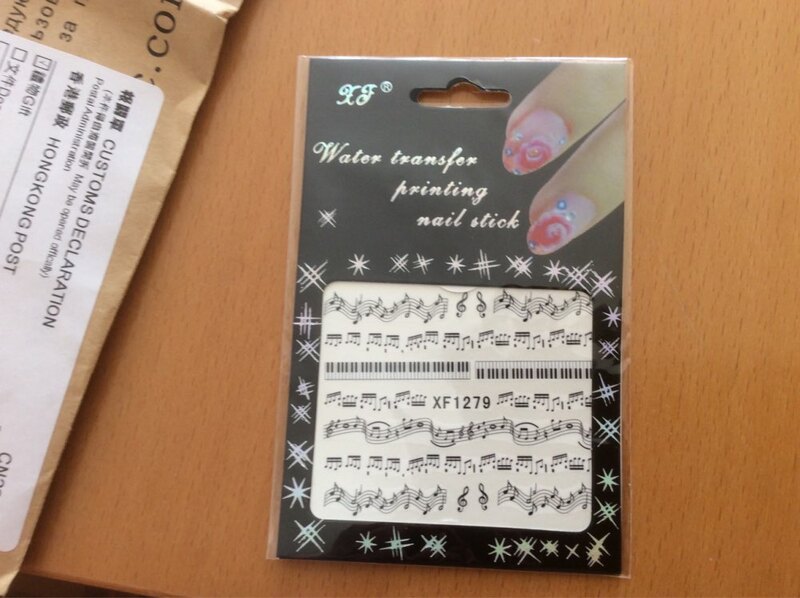 3) Moisten the fingernails, stick the pattern in position. 4) Use a paper towel to dry fingernail.